New Rogue One official movie pic shows Jyn Erso totally locked up. Recently, the folks over at Yahoo Movies delivered this new, official pic from the upcoming “Rogue One: A Star Wars Story” sci-fi/action flick that’s being distributed by Paramount Pictures. 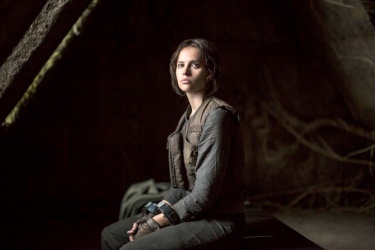 The photo features actress, Felicity Jones as character, Jyn Erso, and she looks pretty helpless in this scene as she’s all bound up in a cell. At this point, she’s a prisoner of the Rebel forces before Mon Mothma decides to recruit her to join up with Captain Cassian Andor’s team. 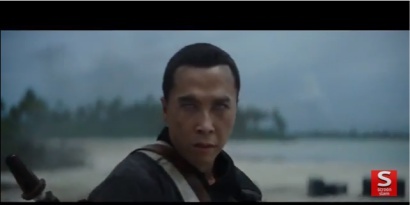 The film stars: Felicity Jones, Diego Luna, Ben Mendelsohn, Donnie Yen, Mads Mikkelsen, Alan Tudyk, Riz Ahmed, with Jiang Wen and Forest Whitaker. 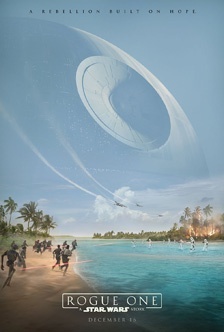 It was directed by Gareth Edwards. 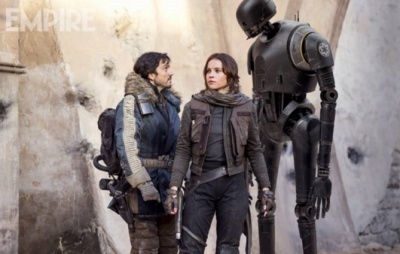 New Rogue One movie pic shows Jyn, Captain Cassian & huge Kaytoo Robot action. Recently, Empire magazine served up this new movie pic for the upcoming Paramount action/sci-fi flick, “Rogue One: A Star Wars Story,” and it gives us new looks at characters: Jyn Erso and Captain Cassian Andor in action with huge robot Kaytoo aka K-2SO, which is being voiced by Alan Tudyk. The scene looks pretty mellow, especially compared to all the intense scenes that are shown in the recently released movie trailer. There’s going to be lots of shooting , fighting and wicked explosions as Jyn Erso and company try to retrieve some very serious plans before they can be officially executed to cause major problems.